I was doing a pantry/fridge audit before leaving to India and found some butter, dates and candied fruit left unused. I didn’t want to leave it behind for another 2 months. So while scouring through my recipe bookmarks I found this fruitcake bars recipe from my favorite recipe source, which perfectly matched my ingredients list. Baking and taking/sending something to India has become a tradition, just like we get something from there. I decided to bake these bars just a day before our scheduled trip so that it will keep good for a couple of days after reaching there. 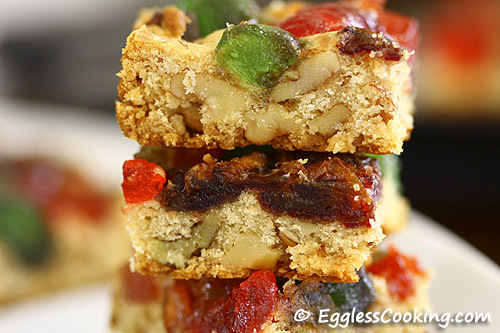 Anytime is Christmastime with these delightful fruitcake bars. 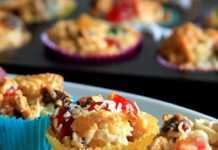 With holidays around the corner it’s not too early to start baking these decadent treats. Preheat oven at 325F/160C for 15 minutes. 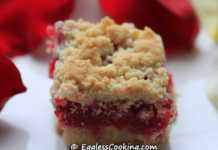 Grease a 15×10 inch pan (jelly roll pan) either with shortening or non-stick cooking spray and set aside. 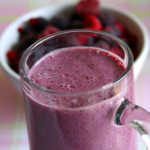 Blend the egg replacer powder and lukewarm water in a mixer until it’s frothy and keep it aside. In a large bowl cream together the butter and sugar until it’s light and fluffy. Add the egg substitute mixture to the creamed butter in small additions and beating well after each addition. Add in the flour and chopped nuts and combine it well with a rubber spatula. Spread the dough onto the prepared pan. 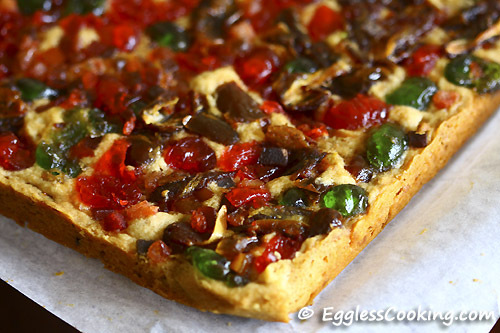 Sprinkle the candied pineapple, cherries and diced dates on the dough and press it lightly. Bake for about 45-50 minutes or until lightly browned. I removed the pan around 47 minutes. Cool it completely on a wire rack before cutting into bars. 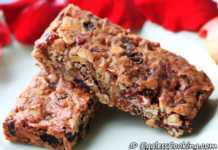 I baked these fruitcake bars to take it with me to India and no wonder it was a super-duper hit with everybody. On the day these bars were baked I felt that the dough part of the bars were not sweet enough but just like the usual fruitcake which gets better as it ages, these bars too tasted great after a couple of days. But with the traveling and storing it in the fridge after reaching India, the cookie base did lose it’s initial flakiness. For easy chopping of candied pineapple and dates, do grease the knife with shortening or non-stick cooking spray. I have a 9 x 13 pan, I don’t have the pan which you said in the recipe. So how many more minutess should I bake this? 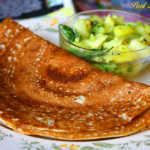 I have used a 9×13 inch pan, Sapna. rum .So will it take good with rum?? 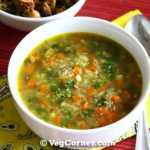 If yes, than how much should I add to the same recipe?? I have not baked with rum Sapna. So I’m not sure about the quantity to use. You should be able to find it in the baking aisle, especially that it’s the holiday season now. Can i use mashed banana instead ener-g ? I would like to replace butter with peanut butter. all your recipes. I will let you know which recipe. Mashed banana replacement for the eggs. Can we use flex seed powder instead of Egg Replacer Powder. If yes what quantity? You can use about a tablespoon of flax seed powder and 12 tablespoons of water. Do blend it in a mixer before adding it to the batter. 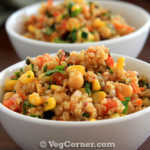 Wow….that’s an delectable recipe….perfect indulgence….r u on coming to India? Thanks Lubna. I was there and am back to Canada now. I am a great fan of your website! Regarding the egg substitute – I have never seen any egg substitute in the shops. Can one use 1 egg in this recipe, or perhaps something else? Thank you very much Romana. I have replaced 3 eggs in this recipe. Absolutely decadent, loving these bars.. So Colorful!!!! Love that last Pic!!! !